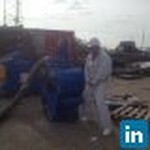 Paul Anderson - Slater/Plaster-Rope Access Techintion, Spray Painter Blaster & Machine Fitter. Slater/Plaster-Rope Access Techintion, Spray Painter Blaster & Machine Fitter. I started my early career as slater plaster and grew my experience in construction to later start my own limited company Anderson Roofing Plastering & Building services Ltd which is still going and being run by myself. I have now gone into Oil & Gas sector as fully trained Rope access technician and fully qualified on and offshore blaster/painter with Ocean IRM with experience in specialists coatings preparing helidecks for painting in North Sea on various Oil Riggs. Join Today to follow and contact Paul Anderson.